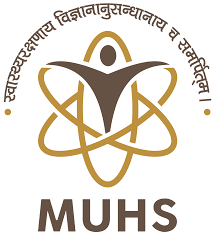 The Institute of Medical Education Technology and Teachers’ Training, MUHS at Pune, has played a leading role in building the skills of teachers in health professionals in a unique interdisciplinary setting consisting of teachers from medical, dental, ayurveda, homeopathy, nursing, physiotherapy and other allied health streams of MUHS. ` Established in 2007, this department, first of its kind in the country conducts training in educational methodology for health professions teachers of over 300 affiliated colleges. It also trains teachers in research methodology, communication skills, runs a Resident as Teacher program, an Advanced Course in Health Professions Education for teachers as well as CME Programs. Over 20,000 health professions faculty have been trained in the last 7 years. Developing a Masters Course was the logical next step. * Registration valid till 5 years. Extension will be subject to payment of delay fee. Have completed a project based Advanced course in Health Professions Education (MUHS, NTTC, MCI) or FAIMER / FIME Fellowship.